Al-Akhtar Trust was formed in November 2000, registered by Jaish-e-Muhammad as a humanitarian aid agency. It participates in financing and facilitating activities of JeM and other extremist groups. Azhar has close links to Binori Mosque Karachi, which is a Deoband Anti-Shia seminary. This seminary is renowned for its support for jihad in Kashmir against India and in Afghanistan against the US and its allied forces. Former Chairman and Chief Executive Officer: Hakeem Muhammad Akhtar. Deobandi interpretation states that a Muslim’s first loyalty is to his religion and then to the country of which he is a resident or citizen. Its practitioners also have an obligation to go to any country to wage jihad to protect the Muslims of that country. In other words, a global understanding of their role. The Deobandi interpretation of Islam is widely practiced in Pakistan. They also share the Taliban’s restrictive view of women and regard Shiites as non Muslims and are also against Ahmadis. Al-Akhtar Trust allegedly provides financial and logistical support to Al-Qaeda and the Taliban. And is alleged to provide basic needs such as shelter, clothing and food to the orphans and families of the Taliban and Al-Qaeda jihadists. Al-Akhtar Trust operates from Pakistan and Afghanistan. Their centres are located in Islamabad, Lahore, Bahawalpur, Mirpur Khaas and Spin Boldhak. The headquarters of Al-Akhtar Trust is in Karachi. Al-Akhtar Trust guise of doing charity work and appeal to religious obligations, seek funds from well-intentioned donors in Pakistan. Al-Akhtar Trust is alleged to have links with the Al-Qaeda Network, Harkat-ul-Mujahideen, Hizb-ul-Mujahideen, Lashkar-i-Taiba and Lashkar-e-Jhangvi. AAT is believed to be carrying out the activities of Al-Rashid Trust after its proscription in 2001. Al-Akhtar Trust is a Pakistan based organisation that has been allegedly working under the guise of a charitable organisation. It has been allegedly providing support to the Al-Qaeda and the Afghan Taliban and raising fund for jihad in Iraq. It is also alleged to be linked the killing of the Wall Street Journalist Daniel Pearl. Al-Akhtar Trust was formed in November 2000 to provide financial aid to extremist groups including the Taliban. The banned organisation JeM, after its proscription, registered Al-Akhtar Trust as a humanitarian aid agency. JeM sought to use this Trust to provide arms and ammunition to other extremist groups and to provide basic needs to the orphans and families of the Taliban and al-Qaeda fighters. Al-Akhtar Trust is alleged to have started conducting the activities of Al-Rashid Trust after the former’s proscription in 2001. In 2003, Al-Akhtar Trust was alleged of raising funds for the jihad in Iraq. Al-Akhtar Trust was established under the guise of a charitable organisation, providing aid to the refugees and other needy groups. Under the guise of a charitable organisation, Al-Akhtar Trust appeals to religious obligations targeting donors in Pakistan. Jaish-e-Muhammad is an extremist organisation based in Pakistan, formed in 2000. It is operational in the region of Jammu and Kashmir, using violence to affect a withdrawal of the Indian security forces from the region. It has anti-west ideology and believes that the US is a threat to the Muslims worldwide. In recent years, JeM has added the sectarian minority communities in Pakistan to their hit-list. It has been proscribed by the government of Pakistan and throughout the globe. The organization was formed in the late 80s by Osama Bin Laden who came to Afghanistan to fight the Soviet forces. The literal meaning of Al-Qaeda is “The Base”. Al-Qaeda’s network includes outfits which are operating in estimated 65 countries worldwide. Harkat-ul-Mujahideen is a Pakistan based militant group established in 1985, to fight against the Soviet forces in Afghanistan. After the retreat of the Soviet forces from Afghanistan in 1989, they started fighting against the Indian forces in the Indian-occupied Kashmir. Hizb-ul-Mujahideen is an outfit established in 1989, based in Muzaffarabad. The group promotes the utilization of violence for the liberation of Jammu and Kashmir from the Indian forces and its accession to Pakistan. The group is believed to be the militant wing of Jamaat-e-Islami in Pakistan and Kashmir. 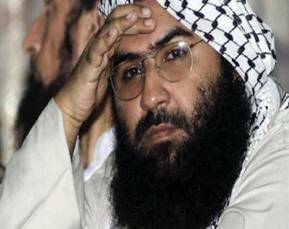 Lashkar-i-Taiba, also known as Jamaat-ud-Dawa, is a Sunni extremist organisation based in Pakistan formed in 1990. It is operational in Pakistan, Kashmir and India, aiming to establish an Islamic caliphate in Jammu and Kashmir. LeT maintains links to the Afghan Taliban and Pakistan based extremist groups including Jaish-e-Muhammad and Lashkar-e-Jhangvi. LeT is reported to have been involved with militants in places where conflict involving Muslims have arisen including Bosnia, Chechnya, Kosovo and Afghanistan. The majority of LeT’s membership consists of Jihadists from Pakistan and Afghanistan. 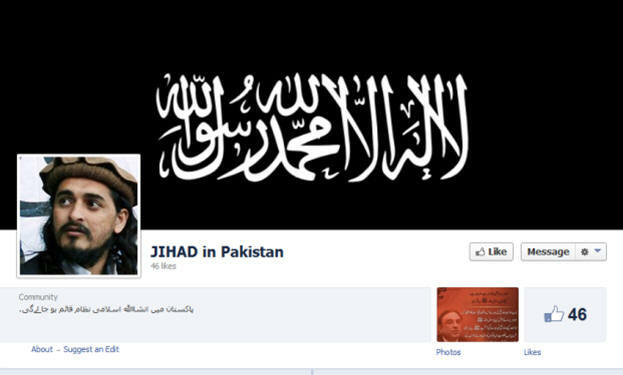 Lashkar-e-Jhangvi (LeJ) is a Pakistan based militant group, a splinter of the Sipah-e-Sahaba Pakistan (SSP). It was allegedly formed in 1996, claiming that the SSP were deviating from their ideology. LeJ has been involved in attacks on Shiite, who they claim are infedals. Thay have been most active recently in Balochistan, in the massacre of the Shiite Hazara Muslims. They are linked to the Taliban, alongside whom they have fought in Afghanistan. They are also linked to the Baloch militant organisation; Balochistan Liberation Front. Al-Rashid Trust is a Pakistan based welfare organisation which has spread its network throughout Chechnya, Kosovo and Afghanistan. Primarily aiming at carrying out welfare projects, Al-Rashid Trust actively promoted Jihad through booklets written by prominent leaders. They perceived international NGOs as enemies of Islam and outing theses organisations from Afghanistan has been one of their aims. Shiites consider Hazrat Ali as the first true leader (Imam) of the Muslim community. Shiites religious practice revolves around the remembrance of Hazrat Ali’s younger son Hazrat Hussain who was martyred in the city of Karbala in Iraq in the year 680 AD. It is a religious political party established throughout Indian sub-continent, with its ideology based on their interpretation of Islamic principles. The party was formed on August 26, 1941 at Lahore under the leadership of Mawlana Syed Abul Ala Mawdoodi. After the formation of Pakistan in 1947, the organization converted into two independent ones namely Jamaat-e Islami Pakistan and Jamaat-e Islami Hind. Later on after the formation of Bangladesh in 1970s, Jamaat-e-Islami was also revived there. The disputed region of Jammu and Kashmir has its own autonomous wing. The Sipah-e-Sahaba Pakistan (SSP) is an extremist organisation based in Jhang, Pakistan. It was established in 1985 under the anti-Shiite philosophy. The group was pro-scribed in 2002 by the government of Pakistan, redesigned in 2003 changing its name to Millat-e-Islamia Pakistan. Currently the organisation has adopted the name; Ahle Sunnat Wal Jamaat (ASWJ), and has contested in the elections of 2013. The Balochistan Liberation Front is assumed to have been established in the 1960s during the Baloch insurgency. It aims for the liberation of the province of Balochistan in Pakistan. The outfit targets migrant workers and is alleged to threaten journalists. Since 2003, pro-Taliban groups of various names, capacities and forms engaged Pakistani security forces. In December 2007, TTP was established consisting of major and smaller pro-Taliban elements. A total of 27 groups took part in formation of this outfit. Its focus is mainly against the Pakistani state; however it also provides support to the insurgency carried out in Afghanistan. TTP was formed under the leadership of Baitullah Mehsud in December 2007, who was the first commander of the organization. He was from the Broomikhel branch of the Shabikhel sub-tribe of Mehsuds. 1970s- He was born in the early 1970s at Landi Dhok village in Bannu. 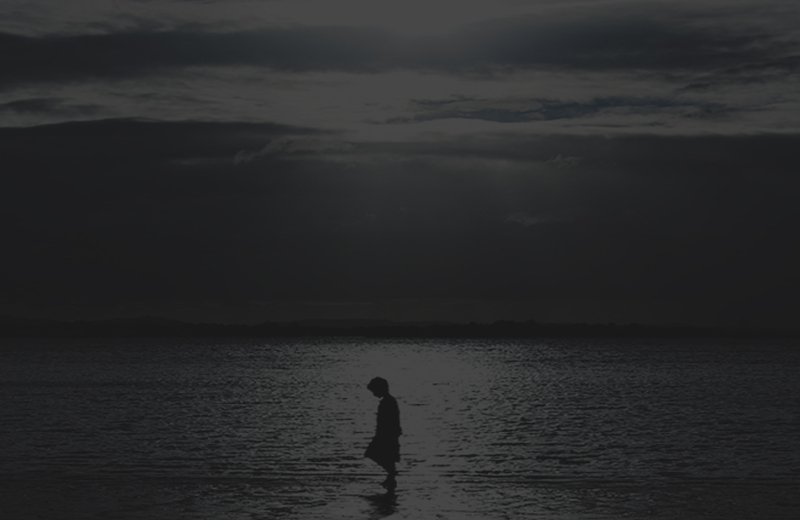 He received no formal education and attended only religious seminaries . 1980s-1990s-He took active part in fight against Soviet invasion of Afghanistan in the late 1980s and in the subsequent civil war in the 1990s . He is also believed to have served under Jalal ud-Din Haqqani. He was also rumored to have been diagnosed with diabetes . 2004-He grabbed at the chance of filling the leadership vacuum left by the death of Nek Muhammad in 2004. He continued violent engagement with the Pakistani security forces and carried out various high profile terrorism activities . Baitullah was also accused of ordering the assassination of former prime minister Benazir Bhutto, which he denied. Aug, 2009-Baitullah was killed in a drone strike during August 2009 . The organization absorbed various pro-Taliban groups and their leadership. Nov 2013-Fazalullah took the reins of TTP, after the death of Hakimullah in a drone strike during November 2013 . 1975-Fazalullah originally named Fazal-e Hayat was born in 1975 at Mam Dheri or Imam Dheri, Swat. 2001- Fazalullah fought alongside his father-in-law Sufi Muhammad, founder of Tehrik-e Nifaz-e Shariat-e Muhammadi (TNSM); in Afghanistan during 2001. After their return, they both were jailed and the vacuum was filled by the son-in-law. He earned the nickname “Maulana Radio” after he started giving sermons on illegal FM radio stations. He aligned his group with TTP and led an anti-state campaign in Swat. 2009-After a military campaign to evict the area from miscreants in 2009, Fazalullah went underground . 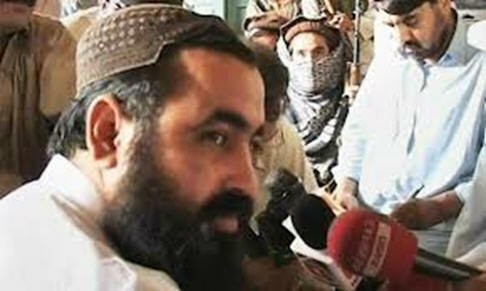 2007-Hakimullah is believed to be in his late 20s and was born at Jandola in South Waziristan. His real name is Zulfiqar, which he changed in 2007 after being appointed chief spokesman. 2009- He took over the leadership after the death of Baitullah Mehsud in 2009. He also has no formal schooling and he studied in religious seminary in Hangu. He later served in the war in Afghanistan. After the formation of TTP he was appointed commander of Khyber, Kurram and Orakzai . 2009-NATO Troops attack-He is believed to be behind many high profile attacks on Pakistani and NATO troops, including the December 2009 attack on Forward Operating Base Chapman in Khost, Afghanistan and the failed bomb plot of Times Sqaure, New York . Nov, 2013-Hakimullah was killed in a drone strike on 1st November, 2013 in North Waziristan . 1996-Wali ur-Rehman was around 40 years of age and his family lives in Miramshah. He attended a religious seminary in Faisalabad and later on in 1996 became a teacher at a seminary in South Waziristan. 2004-He was aligned with Jamiat-e Ulema-e Islam Fazal ur-Rehman group (JUI-F) till 2004. Wali undertook attacks on coalition forces in Afghanistan and also on Pakistani security forces. He was appointed deputy to Baitullah and also looked after the financial matters . After the death of Baitullah, there were differences between Hakimullah and Wali ur-Rehman. Later on, Hakimullah became the head of TTP, while Wali was assigned command of South Waziristan. He later fled to North Waziristan after the military operation to cleanse South Waziristan from TTP . May 2013-Wali ur-Rehman was killed in a drone strike during May 2013 in North Waziristan . Gul Bahadur is also the supreme commander of the Taliban in North Waziristan. He belongs to Madda Khel clan of the Uthmanzai Wazir and is believed to be a descendant of Mirza Ali Khan, who gained his fame for resistance against the British Indian government. He is a resident of Lwara and received his religious education from a Deobandi seminary in Multan. 1980s-Gul Bahadur took active part in Afghanistan during the Soviet invasion in the 1980s and in the subsequent civil war. 2007-He was appointed deputy head of Tehrik-e Taliban Pakistan (TTP) in 2007, but distanced himself from the group after rifts emerged between the various factions. Later, Hafiz Gul Bahadur, Baitullah Mahsud and Mullah Nazir formed the Shura Ittihad ul-Mujahideen for Afghanistan. 2006 & 2008-Gul Bahadur is also involved in peace deals with the Pakistani government in 2006 and 2008 . He has also shown resistance against the anti-polio vaccination drive in North Waziristan . 1975-Nazir was born in 1975 at Angor Adda, Afghanistan. He received his education through religious seminaries, including Jamia Dar ul-Uloom Waziristan, run by religious political party of Jamiat-e Ulema-e Islam-Fazal ur-Rehman (JUI-F). He also remained a worker for the JUI-F during these years. 1996-He joined the Taliban in 1996 and returned to Wana after the fall of Taliban. He remained an active supporter of Taliban and Al-Qaeda, while fighting alongside them against the Pakistani security forces. 2004-He was arrested in 2004 but was later released in the Shakai peace deal. Later on Nazir established his own outfit between 2006 and 2007 . 2007-He joined TTP in December 2007 and was a deputy commander . He had a subsequent falling out with TTP and later also won Pakistani government and local support to evict foreign fighters from Wana, resultantly being embroiled in hostile engagements with rival factions. However, Nazir carried out operations in Afghanistan against the coalition troops. Jan, 2013-He was killed in U.S. drone strike near Wana during January, 2013 . These are a significant group of Muslims present in the sub-continent, who adhere to the Sunni sect and follow the ideology of Imam Abu Hanifah. The school of thought is named after University of Deoband Dar ul-Aloom in India. They believe in safeguarding the teachings of Islam, while spreading the religion through preaching . TTP has its own extremist version of this ideology, where it justifies the use of force and violence to enact Sahriah law within the country. It also demands Pakistani state’s disassociation from the coalition for war on terror . Network-The organization has an estimated strength from 5,000 combat personnel to overall membership of 50,000 .  A consultative council of 40 senior Taliban gives guidance to the organization .  The membership is also based on various tribal affiliations, leading to variable relations with local commanders . 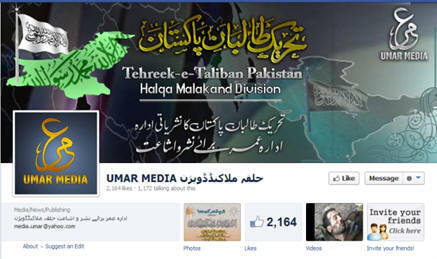 Base-Tehrik-e Taliban is based in South Waziristan, while its chapters are established under local commanders . The organization is believed to have created cross-sectional working groups with other terrorist groups throughout Pakistan. These groups consist of 10 – 15 members each and have assisted in expanding the operations of the outfit .  Other criminal activities adopted for generating funds.  Besides these the outfit has long and effective relationship with Al-Qaeda and Afghan Taliban, providing it with sufficient resources . The group has been proscribed by the Pakistani government on August 25, 2008. Sep 01, 2010-FTO: The US State Department had put the outfit on its Foreign Terrorist Organizations (FTO) on September 01, 2010. Canada on July 05, 2011 and on July 29, 2011 the United Nations Security Council (UNSC) put the organization on its international anti-terrorism sanctions list . 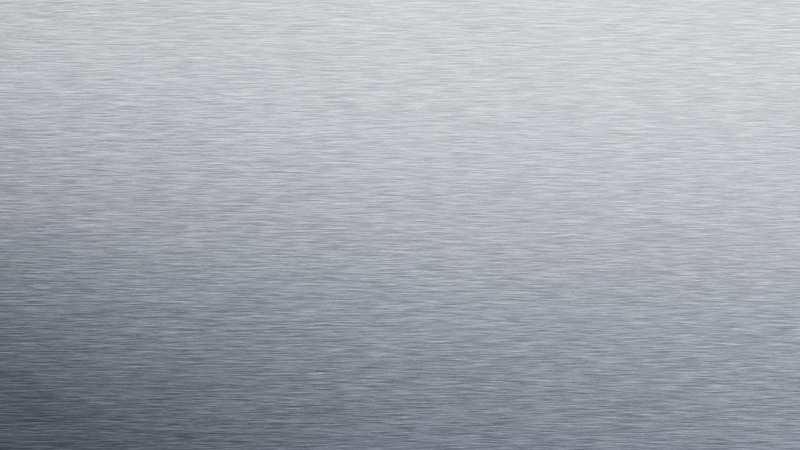  Draws its strength from foreign fighters belonging to Middle East and Central Asia .  As mentioned earlier, it has also formed working groups with affiliated organizations and draws on their strength . Tehrik-e Taliban endorses violence to implement Shariah law in Pakistan, while it also propagates armed struggle against the Pakistani security forces and coalition forces present in Afghanistan . 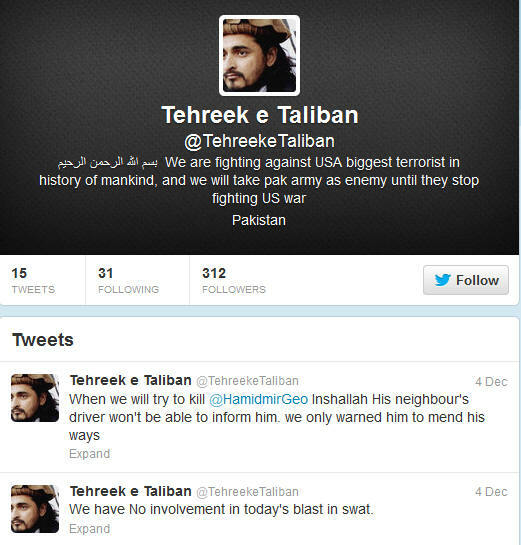 The Tehrik-e Taliban Pakistan conducts operations throughout Pakistan with the assistance of its affiliates. Its influence is mainly in Khyber Pakhtunkhwa and tribal areas, while it also carries out activities in Afghanistan . 6) Islamic Movement of Uzbekistan (IMU) . As per the available information TTP utilizes magazine publications in Urdu, English and Arabic language. The outfit is also utilizing audio /visual tools to disseminate their agenda. These tools are meant towards gaining outreach to individuals who are less literate or are not in the habit of reading. The media content of the group is handled by Umar Media. The organization is also very active on the social media, where it promotes its ideology and activities through twitter, Facebook and blogs. web site There are various websites run by TTP, which are concerned with further disseminating their offline tools such as publications to promote their ideology. TTP and its affiliates have been known to establish a parallel justice system in their areas of influence, based on extremist interpretation of Islamic laws. These courts apparently provide speedy justice and resultantly also assisting in attracting people to their cause. The most prominent example of this was seen in Swat, where Taliban established their courts . 6) Tehrik-i Taliban Pakistan .  A consultative council of 40 senior Taliban gives guidance to the organization. The organization has an estimated strength from 5,000 combat personnel to overall membership of 50,000 . Various tribal affiliations makeup for a considerable strength within the organization, however due to tribal frictions the relations with local commanders remains volatile . It has established chapters in Khyber Pakhtunkhwa and tribal areas, which are led by local commanders . The organization is believed to have created cross-sectional working groups with other violent extremist organizations throughout Pakistan. These groups consist of 10 – 15 members each and have assisted in expanding the operations of the outfit . TTP has its own extremist version of Deobandi ideology, where it justifies the use of force and violence to enact Sahriah law within the country. It also demands Pakistani state’s disassociation from the coalition for war on terror .  The Tehrik-e Taliban Pakistan conducts operations throughout Pakistan with the assistance of its affiliates. Its influence is mainly in Khyber Pakhtunkhwa and tribal areas, while it also carries out activities in Afghanistan .  The outfit is involved in attacks on civilian and military infrastructure and has also targeted leading political and public figures perceived to be an opposition to the group.  Besides this, TTP is also involved in rising sectarian conflict within Pakistan . The catalyst believed for the formation of TTP was the July 2007 operation conducted at Lal Masjid (Red Mosque) Islamabad, aimed at clearing out the extremist militants from the mosque. Dec 2007-The organization was formed under the leadership of Baitullah Mehsud during December 2007. A total of 27 pro-Taliban groups were involved in establishment of the outfit. The primary focus of TTP is mainly for implementation of Shariah law in Pakistan and violent engagement with Pakistani security forces . Its various chapters however also carryout cross border activities in Afghanistan against coalition troops. Aug 2009- After the death of Baitullah Mehsud in a drone strike during August 2009, there was reported tussle between Hakimullah Mehsud and Wali ur-Rehman Mehsud for the leadership. Eventually, Hakimullah was nominated as the leader of the outfit . 4) Attack on Pakistan army headquarters in October 2009 . The outfit has been involved in various peace negotiations with the Pakistani government which have mostly broken down . There are differences within the group based on tribal affiliations, operations within Pakistan and presence of foreign fighters. Resultantly the group has also been exposed to infighting among various chapters. The group has been proscribed by the Pakistani government on August 25, 2008. The US State Department had put the outfit on its Foreign Terrorist Organizations (FTO) on September 01, 2010. Britain proscribed TTP on January 18, 2011, Canada on July 05, 2011 and on July 29, 2011 the United Nations Security Council (UNSC) put the organization on its international anti-terrorism sanctions list. Tehrik-e Taliban endorses violence to implement Shariah law in Pakistan, while it also propagates armed struggle against the Pakistani security forces and coalition forces present in Afghanistan. TTP pledges allegiance to Mullah Omar as their supreme leader. The group also considers the democratic and judicial system in Pakistan being contrary to Islamic ideology, while benefiting only a certain class. The organization uses a variety of tools to gain influence in communities mostly in Khyber Pakhtunkhwa, Punjab and even Sindh. As mentioned earlier they heavily rely on tribal loyalties and religious seminaries for recruits. The seminaries also provide TTP with the necessary supply of suicide bombers. In other areas they attempt to gain sympathies especially among the women and youth. They also utilize terror mechanisms such as decapitation of security personnel or silencing opposing voices through targeted killings, to spread fear among the community. To Download complete details of tools being used by TTP click here. Pakistan’s North-West. Copenhagen: Danish Institute for International Studies (DIIS). Walsh, D. (2009). Profile: Baitullah Mehsud. The Guardian. August 07, 2009. Zaidi, S. M. A. (2008). A Profile of Baitullah Mehsud. The Long War Journal. September, 2008. Retrieved on: October 01, 2013. BBC News. Obituary: Baitullah Mehsud. Retrieved on: October 01, 2013. Shahid, S. (2013). Fazlullah’s appointment causes rifts among TTP ranks. Pakistan Today. December 08, 2013. Retrieved on: December 10, 2013. Khattak, D. K. (2010). Who is the Swat Taliban's commander? The AfPak Channel. April 21, 2010. BBC News. (2010). Profile: Hakimullah Mehsud. May 03, 2010. Retrieved on: October 01, 2013. AlJazeera. (2010). 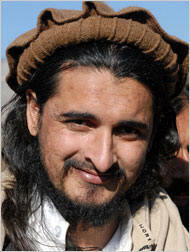 Profile: Hakimullah Mehsud. May 03, 2010. Retrieved on: October 01, 2013. Sherazi, Z. S. (2013). Pakistani Taliban chief Hakimullah Mehsud killed in drone attack. Dawn. Mahsud, M. K. (2010). The new, new face of the Pakistani Taliban? The AfPak Channel. April 30, 2010. The Express Tribune. (2013). Waliur Rehman: From madrassa teacher to Taliban commander. May 30, 2013. Retrieved on: October 01, 2013. The Nation. (2013). Death of Waliur Rehman. May 31, 2013. Retrieved on: October 01, 2013. Sulaiman, S. & Bukhari, S. A. (2009). 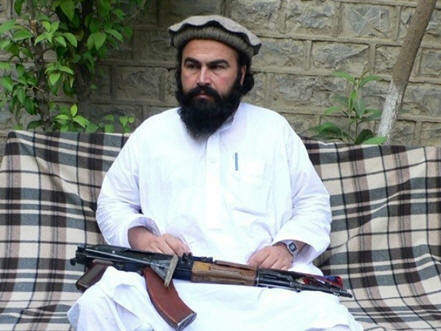 Hafiz Gul Bahadur: A Profile of the Leader of the North Waziristan Taliban. Nasruminallah. (2012). No polio drives in N Waziristan unless drone strikes stop: Hafiz Gul Bahadur. Sherazi, Z. S. (2013). Mullah Nazir killed in South Waziristan drone strike: officials. January 03, 2013. Retrieved on: October 02, 2013. Stanford University. (2012). Tehreek-e-Taliban Pakistan. August 07, 2012. Retrieved on: September 26, 2013. Rehman, Z. (2013). The Significance of Maulvi Nazir’s Death in Pakistan. Combating Terrorism Center (CTC). IslamQA. Deobandis. Retrieved on: September 19, 2013. Retrieved from: http://www.islam-qa.com/en/22473. South Asia Terrorism Portal (SATP). Tehreek-e-Taliban Pakistan (TTP). An Attempt to Deconstruct the Umbrella Organization and the Reasons for its Growth in Pakistan’s North-West. Copenhagen: Danish Institute for International Studies (DIIS). Institute for the Study of Violent Groups (ISVG). Tehrik-e-Taliban Pakistan. Tehreek-e-Taliban Pakistan. August 07, 2012. Retrieved on: September 26, 2013. Institute for the Study of Violent Groups (ISVG). Tehrik-e-Taliban Pakistan. Retrieved on: September 26, 2013. Nawa-e Afghan Jehad. Retrieved on: September 27, 2013. Ihya E Khilafat Magazine. Retrieved on: September 27, 2013. Retrieved from: http://ihyaekhilafat.blogspot.com/. Jihadology.net. Retrieved on: September 27, 2013. Watson, I. (2009). Taliban: Pakistani legal system un-Islamic. CNN. April 22, 2009. Retrieved on: October 03, 2013. Retrieved on: September 26, 2013. Retrieved from: http://www.satp.org/satporgtp/countries/pakistan/terroristoutfits/ttp.htm. South Asia Terrorism Portal (SATP). Incidents and Statements involving TTP. Past, Present and Prospects for the US, Afghanistan and Pakistan. Rehman, Z. (2013). The Significance of Maulvi Nazir’s Death in Pakistan. Combating Terrorism Center (CTC). February 20, 2013.